Are you being overwhelmed by urgent requests from management, other departments and third parties – such as exchanges and data vendors – for specific business spend and usage reports? FITS & INFOmatch offer instant access to (historical) data and the ability to create custom reports and leverage sophisticated analytics & dashboards to slice and dice your data. Accurate reporting on market data, research, software and enterprise subscription spend & usage to your users, financial controllers and auditors is essential. However, many firms are facing reporting limitations with their current spend management solutions. The reporting functionality is dated or inflexible and they have limited ability to create custom reports or to leverage sophisticated analytics. Modern, flexible & sophisticated reporting, analysis and business intelligence dashboarding capabilities are all crucial to professionally manage and optimize your enterprise subscription spend. It allows you to deliver on cost transparency, reduce expenses, and manage risk and compliance. "TRG Screen provides total reporting flexibility & sophisticated analytics. We are now able to deliver custom enterprise spend reports both to the internal business and external parties." FITS & INFOmatch offer the most comprehensive analytics and reporting offering available to market data and information services managers today. 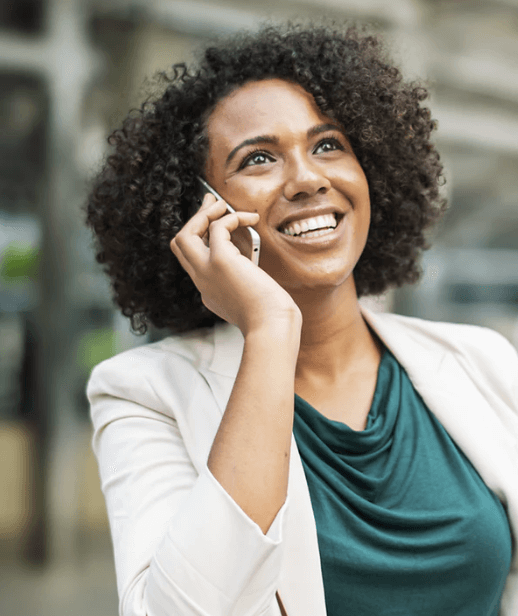 With our spend reporting solutions, you have the information you need at your fingertips and the ability to customize reporting to suit your needs. It empowers users to perform interactive reporting and advanced analytics on inventory and expense data. 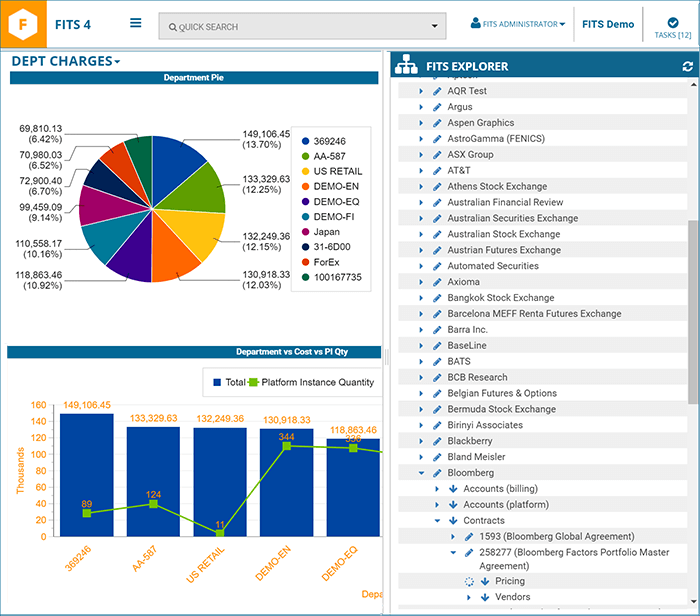 To provide total spend reporting flexibility, we provide a variety of reporting tools which allow you to provide fully customizable and comprehensive spend & analysis reports both to the internal business and external parties such as data vendors and exchanges. FITS & INFOmatch provide a rich set of (historical) data analysis and reporting features. It guarantees the highest levels of reporting flexibility and supports anyone in your organization having an interest in enterprise subscriptions – ranging from the end user to the data analyst and the business manager. Data can be aggregated from the highest level (e.g. cost per vendor) to the most detailed level (e.g. cost per product, per user, per month). Dashboards give you instant access to the key performance drivers, pre-defined indicators and real-time analytics you need to steer your business to success. Easily drag and drop to visualize your current subscription spend environment and its changes (over any given time period) at a single glance. Drill down on any item to get a better understanding of any change (e.g. increase in data terminals, research sites or price). Powerful heatmaps indicate inefficiencies by analyzing average cost per user versus your internal benchmark. Ready for modern, flexible and sophisticated reporting & analytics? Learn how to enhance your spend reporting & analytics.